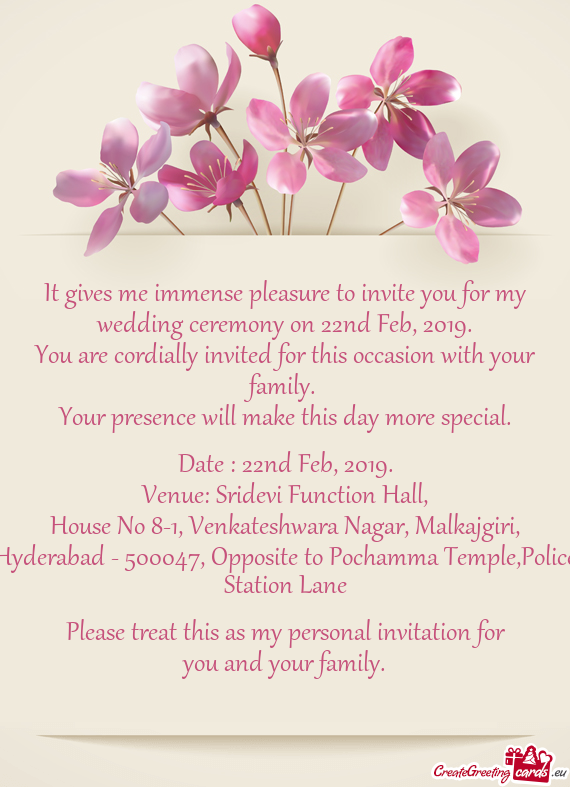 It gives me immense pleasure to invite you for my wedding ceremony on 22nd Feb, 2019. You are cordially invited for this occasion with your family. Your presence will make this day more special. Date : 22nd Feb, 2019.